Have been working hard – so it’s good to take a break from time to time and have fun with this inspiring site, jacksonpollock.org. Here you can create your own jackson pollock doodles. Great GUI. Thanks to Jamie for the tip! One of my favorite parts of being a graphic designer is getting material back from the printer. 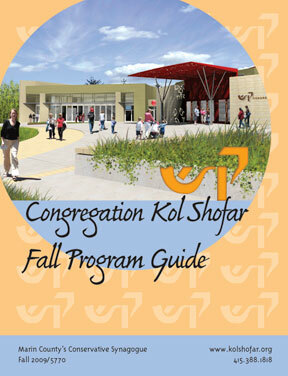 In this case, it’s the new Fall Program Guide for Congregation Kol Shofar. 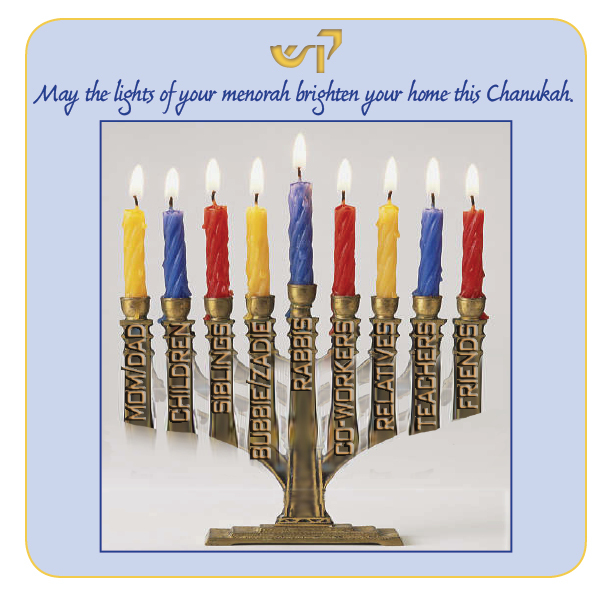 Lots of great new programs, with good imagery to work with, and I was able to use some of my own Judaica images to fill in the gaps. 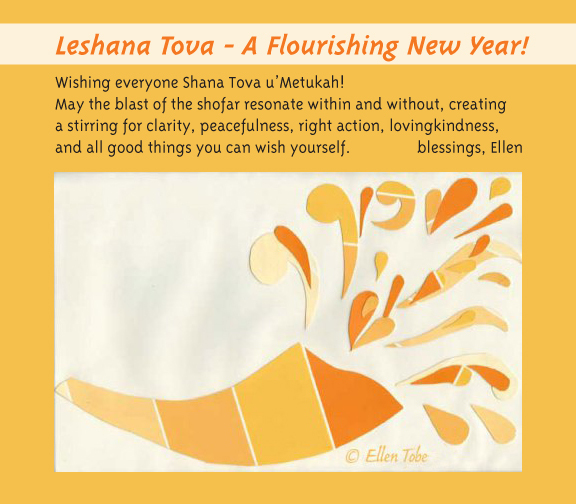 Working with the staff at Kol Shofar to get the material for this booklet was a breeze. Next stop: update their website, as new programs are being added, and the high holidays are around the corner. How is it possible that Passover is upon us already? I created these Passover illustrations for some greeting cards a while back. Matzah does make for some fun doodling. Surprisingly. I created this sunny illustration for an announcement of birkat ha’chama, blessing of the sun, the special sun celebration that happens once in 28 years…. happening next month, on April 8. More info at http://www.sunblessing.org/. Here are a couple of pages from the City of San Rafael’s Winter 2009 Focus magazine – fresh off the presses. I’ve been enjoying designing this newsletter for the past couple of years; it’s good to be involved with this outreach to my local community. And it’s good to know what’s going on in City Hall. The full newsletter can be downloaded here. This job involves working with existing images and photos, creating new graphics as needed, working on a tight timetable with the city manager’s office, helping them hone the pieces for proper length, editing where needed, with the goal of designing a newsletter that people will actually want to pick up and read. Apparently this current version is a hit, with Mayor Al Boro’s feedback: “Congratulations! Best Focus magazine yet.” Woo hoo! Interesting to learn about events such as the library centennial celebration, what the city budget actually is, and how it’s used, learning about “green” initiatives – it all gives me a better appreciation for my little town.